It is a general belief that education serves as the bedrock to the economic and technological advancement of any Nation as Governments across the world invest heavily in the education of her people due to its far-reaching and unquantifiable benefits to the citizens, industries and the state at large. 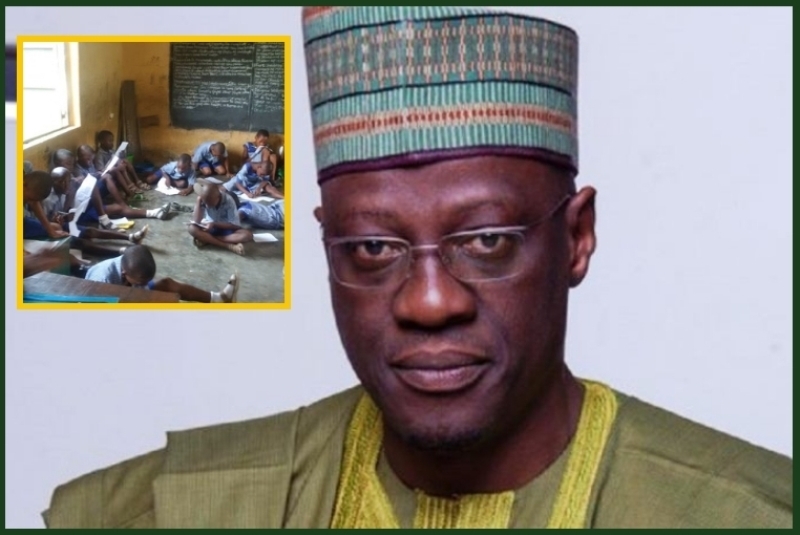 However, the government of Kwara state under the leadership of Governor Abdulfatah Ahmed seem not to share the same school of thought, as the condition of many schools within the state metropolis are currently in a dilapidated and most pitiable state. SecretReporters gathered that the educational drive by the state government is nothing but a hoax as most public school structures within the state are in deplorable conditions, thereby hampering effective and efficient learning activities. A visit to some of the government-owned schools such as Community School Ikosin, Jebba Grammar School, to mention but a few, all leave a sight to behold as students are being subjected to the most horrific learning environment where the roofs have given way for an open showdown of rain and scorching sun, bushes are left uncut leaving the students at the mercy of reptiles and other dangerous animals. This online news medium learnt that despite the humongous budgetary allocations appropriated to the ministry of education over the years, these schools have remained a caricature of any form of decency or quality learning environment. According to the 2016 state’s budget, a total of N5.554 billion was allocated to the Ministry of Education, representing 6.88% of the N81.363 billion of the year’s total capital expenditure. In 2017, a gross of N11.226 billion was allocated, representing 6.76% of the total capital expenditure and an increase of more than 100 percent from the previous year. 2018 witnessed a significant increase of 1.64 percent, totalling N16.058 billion from the year’s N190.997 billion total capital expenditure. There are speculations from several quarters in the state that the government since 2011 has been indirectly fleecing state funds through the education sector as there seems to be no better explanation why most schools within the state still smell of negligence despite billions pumped into the sector over the years. This medium could not reach the Commissioners for Education and Information for their own side of the story as their known phone lines were unreachable.